See our project guide for a wide range of available Honours and Masters projects. For any biomedicine student thinking about doing a semester or subject overseas, this Q+A hosted by Associate Professor Terry Mulhern should not be missed. TUNE IN ON 30 APRIL. 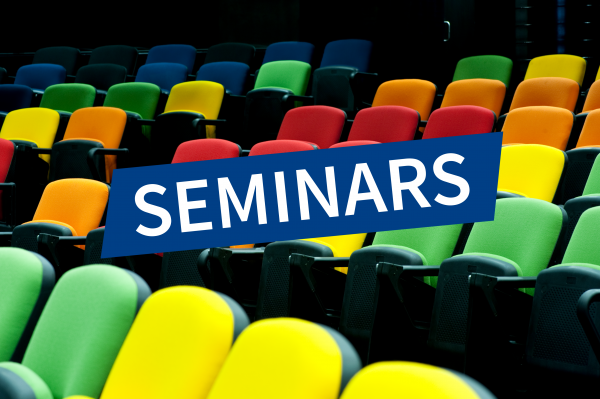 All seminars are held in the Doherty Auditorium, Ground Floor.Research Seminars - Held on Thursdays 12.00pm – 1.00pm.Special Research Seminars - In addition to the usual Thursday Research Seminars, there may be occasional Special Research Seminars which could be held at different times.PhD Completion Orations - Held on Friday afternoons from 3.30pm – 4.30pm.Doherty Institute Immunology Theme: Data Presentation Series - Fortnightly on Mondays 1.00pm generally featuring speakers from across the Institute.Seminar attendees are welcome to refreshments in the Doherty Institute Tearoom on Level 5 after every Research Seminar & PhD Completion Oration. Associate Professor Laura Mackay (Doherty Institute, Dept. Microbiology & Immunology) has been awarded the prestigious 2019 Gottschalk Medal by the Australian Academy of Science. Thousands of biomedical sciences students are set to enjoy the new $100 million world-class facilities at Building 125, with doors opening on 25 March. Plus, the top questions the sell-out crowd put to our panel of revered female leaders in biomedicine. Friday 22nd February 3.30pm - in the Auditorium, Peter Doherty Institute. Welcome to our five-part video series: 'In Conversation with Prof Roy Robins-Browne and Dr Danielle Ingle'.In this series, Professor Roy Robins-Browne (Dept. Microbiology & Immunology, Doherty Institute) and Dr Danielle Ingle (previously Dept. Microbiology & Immunology, Doherty Institute) discuss their experiences during Dr Ingle's PhD, covering topics such as:How to stand out when approaching a potential PhD supervisor,What's involved in a PhD at the Faculty of Medicine, Dentistry and Health Sciences andHow long it takes to write a PhD. Congratulations to Tianwei Chen and Claudia Martin, recipients of the 2019 Keyes-Pearce Microbiology and Immunology Laboratory Experience Awards. 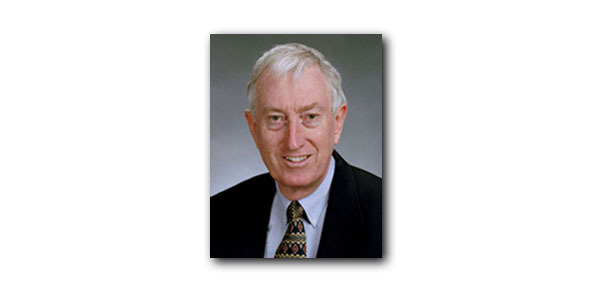 Professor Peter Doherty (Dept. Microbiology & Immunology, Doherty Institute) was featured in 'Lunch with Peter Doherty' in The Saturday Age on 19 January 2019 to promote his book The Incidental Tourist. Professor Damian Purcell (Dept. Microbiology & Immunology, Doherty Institute) was featured as an expert on HLTV-1 in the Australian Financial Review's article 'Australia has the highest rates of infection by an HIV-like virus, but no one cares' published on 11 January 2019. Associate Professor Thomas Gebhardt and PhD Simone Park (Dept. Microbiology & Immunology, Doherty Institute)'s study on tissue resident memory T (TRM) cells' role in controlling melanoma, 'Tissue-resident memory CD8+ T cells promote melanoma-immune equilibrium in skin', was recently published in Nature and received Australian and international coverage. University of Melbourne Research Officer, PhD Simone Park (Dept. Microbiology & Immunology, Doherty Institute), has received a 12 month Cancer Council Victoria Postdoctoral Fellowship to further her research on how tissue resident memory T (TRM) cells control cancer. The Fellowships were established to provide Victorian scientists who have recently completed their PhD with support to continue and enhance their work for a further 12 months. A Researcher Profile for Professor Katherine Kedzierska (Dept. Microbiology & Immunology, Doherty Institute) was featured in the Australasian Society for Immunology (ASI)'s December 2018 Newsletter (pp.21-3). The University of Melbourne has honoured two of its most revered scientists at the opening of the expanded Bio21 Institute of Molecular Science and Biotechnology on Friday 14 December. The new Nancy Millis Building will also be home to the new Margaret Sheil Mass Spectrometry laboratories. Our Facebook Live Chat event for prospective Bachelor of Biomedicine students has achieved tremendous success. Since the live stream aired last Wednesday evening, the Biomed Chat has reached an audience of 21.9K, receiving 15K views.Bachelor of Biomedicine graduate Philip Qian and Dr Rose McCarty (Anatomy & Neuroscience; Pharmacology & Therapeutics) discussed everything students need to know about studying Biomed in 2019. The NHMRC Project Grants have been formally announced. Our School has been awarded a total of 26 grants, making up for more than a third of the grants awarded by the NHMRC to researchers from the University.Please join us in congratulating the following School members on their successful grants. Special mentions to Professor Katherine Kedzierska for receiving two ARC Discovery Projects and Professor Matthew Watt for receiving two NHMRC Project Grants. Dr Laura Mackay (Doherty Institute, Dept. Microbiology & Immunology) continues to kick goals, having just been appointed as the first female President of the Federation of Immunological Societies of Asia-Oceania (FIMSA). School of Biomedical Sciences (Doherty Institute) and Oxford University researchers have shown a specific immune cell, called MAIT cells, make a key contribution to mounting an immune response against influenza. Professor Katherine Kedzierska (School of Biomedical Sciences) has been awarded the prestigious Woodward Medal in Science and Technology. Dr Laura Mackay (School of Biomedical Sciences) has been awarded a $1.25 million, five year Viertel Foundation Fellowship to further her research into co-opting the body's existing immune cells to work against viruses and cancers. 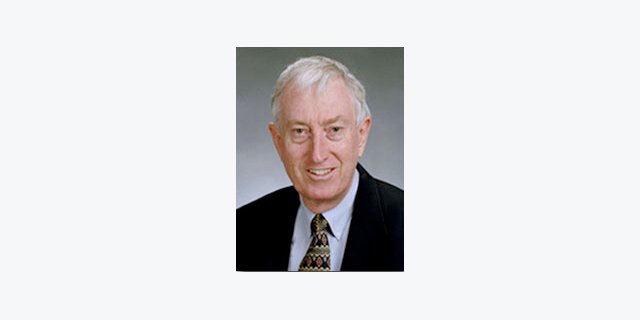 As one of Australia's most influential and effective teachers of medical microbiology prepares for retirement, his legacy in global science and medical circles lives on. Here's how. Claire Gorrie, a Doherty Institute (Dept. Microbiology & Immunology) postdoctoral research fellow and bioinformatician, was announced as a recipient of the prestigious Victoria Fellowship. Our congratulations to Dr Daniel Pellicci (Department of Microbiology & Immunology, Doherty Institute) for being awarded a 2019 CSL Centenary Fellowship last Thursday, 11 October 2018. Professor Shitij Kapur (Dean, Faculty of Medicine, Dentistry and Health Sciences) and Professor Stephen Kent (Laboratory Head, Department of Microbiology & Immunology, Doherty Institute, School of Biomedical Sciences) have been awarded Australian Academy of Health and Medical Sciences (AAHMS) Fellowships.They join Professor Fabienne Mackay (Head of School of Biomedical Sciences) who is an existing AAHMS Fellow. Head of School Professor Fabienne Mackay travels to China for the Frontiers of Immunology in Health & Disease conference. Department of Microbiology and Immunology researcher awarded inaugural Dean’s Innovation Grant. University researcher, Theo Mantamadiotis, leads the study for this important paper. Congratulations to Dr Theo Mantamadiotis and his colleagues on having their paper published in the October issue of Neuro-oncology. Our congratulations to Dr Laura Mackay (School of Biomedical Sciences and the Peter Doherty Institute) who was awarded the 2018 Michelson Prize for Human Immunology and Vaccine Research in June. Our congratulations to Dr Amy Chung and colleagues, Dept of Microbiology & Immunology, on having their recent publication featured in American Foundation for AIDS Research (amfAR) news. With comment from Professor Damian Purcell (Dept Microbiology & Immunology) local GVN spokesperson for the Doherty Institute, one of 41 international centres of excellence represented by GVN. Three of the ten shortlisted finalists for the two categories Public Health Researcher and Basic Science Researcher in the PAHMR, are from the Department of Microbiology and Immunology. Survival and death rates of a pandemic-potential "bird flu"
Congratulations to Professor Katherine Kedzierska* and her co-authors on having their manuscript on immunity to influenza viruses in the elderly selected as the cover story of the February issue of the Journal of Leukocyte Biology (*Department of Microbiology & Immunology). Our congratulations to Professors Frank R Carbone, Dale I Godfrey and Bill R Heath from the Department of Microbiology and Immunology, on appearing on this list of distinguished researchers. Our warmest congratulations to Marios Koutsakos who was the winner of this years award and to Hillary Vanderen who was the runner up. Our congratulations to Professors Cam Simmons, Dale Godfrey and John Furness on being elected Fellows of the Australian Academy of Health and Medical Sciences. Our warmest congratulations to all those in our School who were successful in obtaining grants in the latest round of NHMRC Funding. See Dr Deborah Williamson, Microbiological Diagnostic Unit Public Health Laboratory, interviewed by ABC News 24 about the dramatic increase in treatment-resistant gonorrhoea. 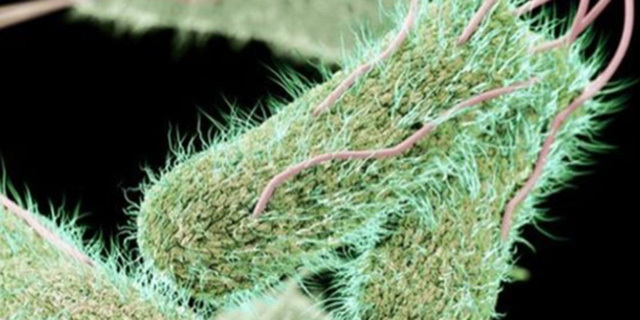 Radio interview with Professor Ben Howden, Microbiological Diagnostic Unit Public Health Laboratory, discussing the new surveillance system which has revealed worrying levels of highly resistant bugs. Dr Hayley Newton, Department of Microbiology & Immunology, awarded the Australian Society for Microbiology Frank Fenner Award for 2017 in recognition of her research. A crack team of international scientists are dedicated to fighting the flu, tracking its many mutations across the globe. Featured academic: Professor Kanta Subbarao, Department of Microbiology & Immunology. Our congratulations to Katherine Gourley and Lachlan Cain, recipients of the 2017 Keyes-Pearce Microbiology and Immunology Laboratory Experience Awards. As part of these awards, Katherine and Lachlan will complete 4 week research experiences in the laboratories of Assoc. Prof Scott Mueller and Prof. Roy Robins-Browne, respectively, before participating to the Lorne Infection and Immunity Conference. To mark the commencement of these awards, a morning tea was held with the award benefactor, Susan Keyes-Pearce, Head of Department Andrew Brooks, and past and present recipients of these awards. Our congratulations to Professor Jim McCluskey (formerly HOD), and to PhD candidate Sarah Baines and Dr Hamish McWilliam, on winning these prestigious prizes. The Selwyn-Smith Medical Research Prize recognises notable research achievements and is awarded by the MDHS Faculty every 3 years. Dr Laura Mackay has been selected as a 2016 Victorian Young Tall Poppy – an award designed to celebrate up-and-coming scientists who combine world-class research with a passionate commitment to communicating science. Dr Mackay, from the Department of Microbiology and Immunology, School of Biomedical Sciences, heads a lab at the Doherty Institute. Dr Pearson swapped rock and roll for microbiology. She was an accomplished drummer touring with the ARIA-nominated rock band Lash when she decided she needed to return to her other love — science. Australian researchers have discovered the secret behind stopping malaria parasites in the liver, uncovering a new vaccine strategy. Melbourne researchers have made a major breakthrough in understanding how our immune system produces key infection fighting cells called mucosal-associated invariant T cells or MAIT cells. A Melbourne researcher has found a new avian influenza virus in Antarctica, causing concern viruses could be reaching the continent more often than previously thought, potentially having implications for the health of the unique species of birdlife. Up to 70 per cent of Victorians with suspected hepatitis C may not have received follow-up testing, putting them at risk of chronic liver disease and even cancer, University of Melbourne researchers say. Researchers solve immunity puzzle in lung tissue and reveal previously unknown 'immune cell circuitry' as secret weapon in front line defence against Legionella. New Political Declaration on Ending AIDS adopted at UN high level meeting on HIV in New York. Researchers are one step closer to creating a universal, one-shot influenza vaccine following the discovery that T cells, essential in the immune response to influenza, can recognise and attack emerging, mutant strains of the virus. Melbourne researchers have uncovered the genes responsible for the way our bodies fight infection at the point of "invasion" - whether it's the skin, the liver, lungs or the gut. Joshua Newson and Georgina Pollock win best presentation award and first runner-up award at the ASM BD Student Awards. A scientist working to develop a one-shot for life flu vaccine and a renowned environmental scientist have been awarded prestigious Australian Academy of Science medals. The Department of Microbiology and Immunology has received $11.3 million in the latest round of NHMRC and ARC funding. Congratulations to recipients of the 2015 Dean's Award for Excellence in a PhD Thesis. Our congratulations to Professor Sharon Lewin (Director of the Doherty Institute), Professor James McCluskey and Laureate Professor Peter Doherty who were recently elected Fellows of the newly established Australian Academy of Health and Medical Sciences. The University of Melbourne is a globally engaged, comprehensive, research-intensive university uniquely positioned to respond to the major social, economic and environmental challenges of our time. Our research is encompassed within several broad research themes. This multidisciplinary approach aims to increase the opportunities for researchers to collaborate on projects that span common themes. An overview of our research interests within the department and the project work being carried out by our research groups. The School of Biomedical Sciences includes a number of shared research facilities, as well as several research services open to researchers external to the University of Melbourne on a fee for service basis. 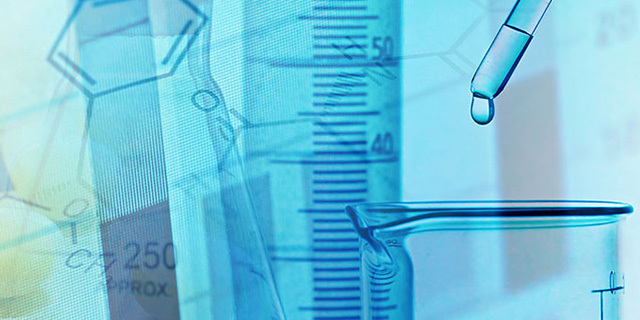 MDUPHL provides a comprehensive microbiology service for the investigation of infectious diseases, and food and waterborne outbreaks in Victoria. Professor Doherty is Head of the Influenza Research Group in the Department of Microbiology and Immunology. Each year there are ten prizes awarded to outstanding students within the Department. Thank you for engaging with the Faculty of Medicine, Dentistry & Health Sciences. Our pride in our graduates and in their lives spent improving the health and well-being of others is matched by our desire to maintain strong connections with all who have passed through our doors. 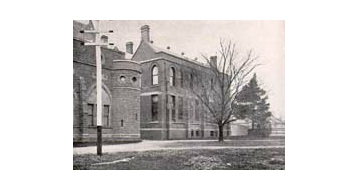 The School of Biomedical Sciences includes some of the University's oldest departments and indeed the oldest biomedical science departments in the state of Victoria. For this reason it is host to a number of unique programs of both community and scientific interest. The Bonn & Melbourne Research and Graduate School (Bo&MeRanG) delivers basic and applied science through innovation, international engagement and training of the next generation of scientists. The Department of Microbiology and Immunology comprises more than 120 academic staff, including 18 full Professors, 80 graduate students and around 30 research groups that are actively involved in microbiology and immunology research and teaching. The Department of Microbiology and Immunology at the University of Melbourne was established to teach and conduct research in the areas of bacteriology, virology, immunology and biotechnology.